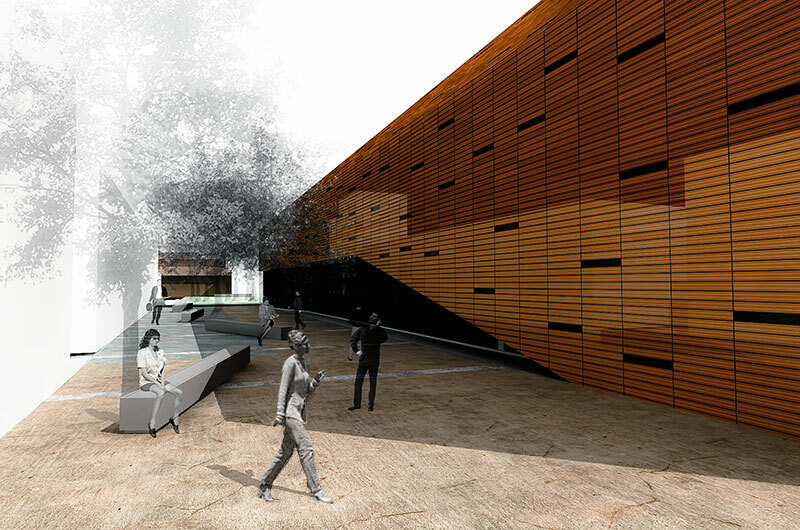 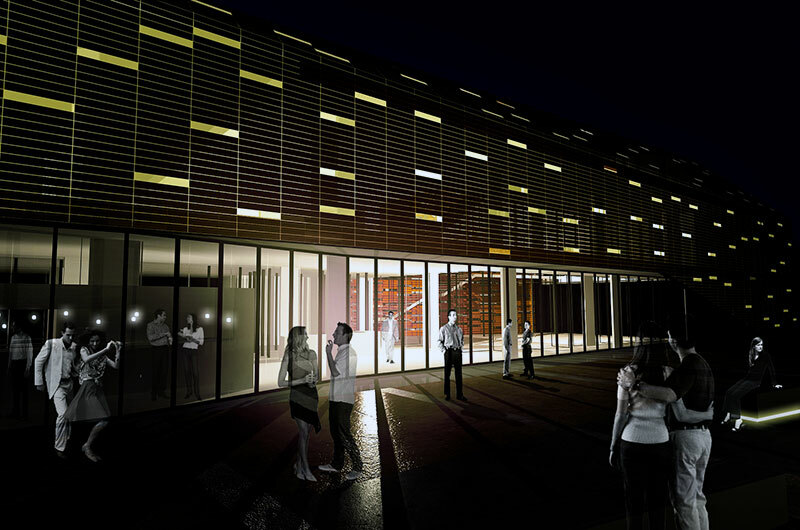 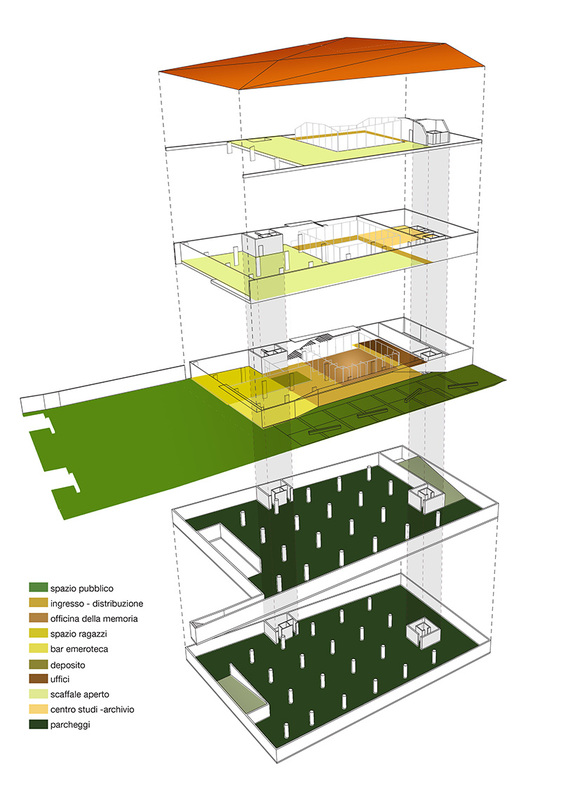 This project concern a proposal for the new cultural center and library in the city of Garbagnate Milanese, in the province of Milan. 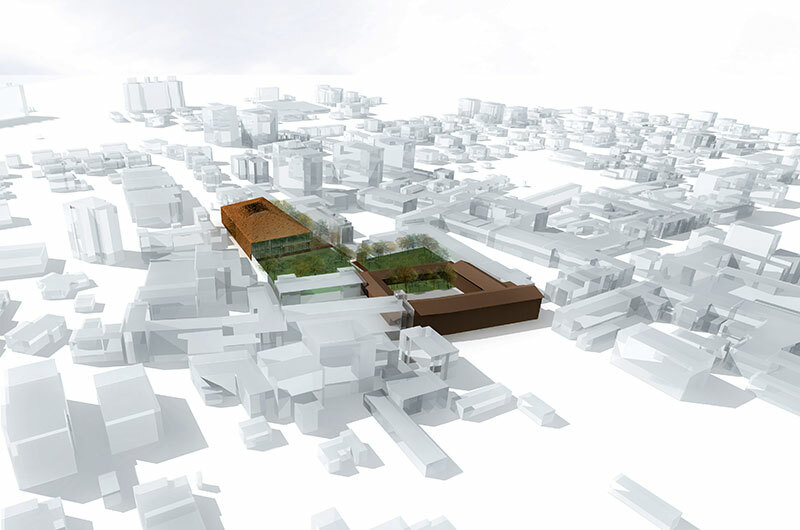 The project is divided into three floors above-ground and two underground parking levels and is located in a small park in the historical center. 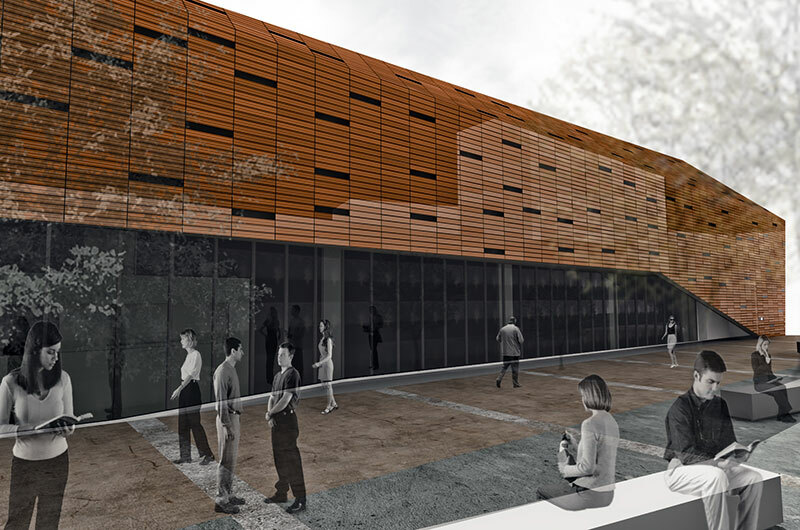 The front exterior is composed of planks of terracotta alternated with glass planks allowing the light to enter and create a atmosphere. 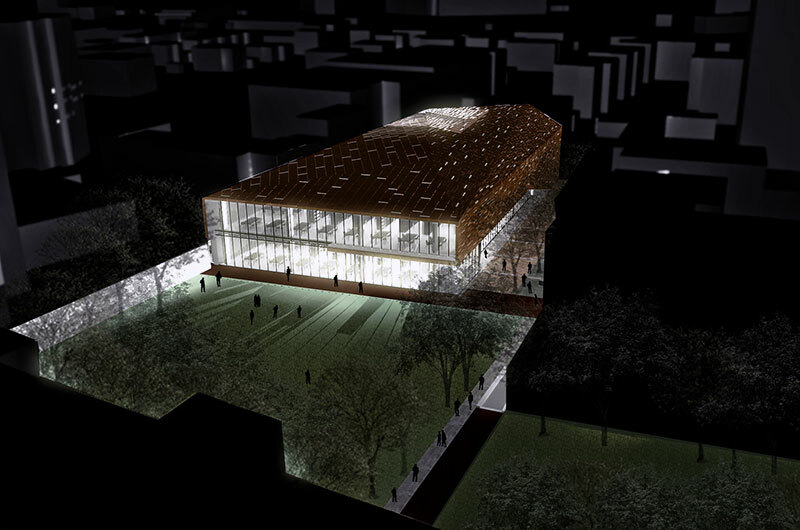 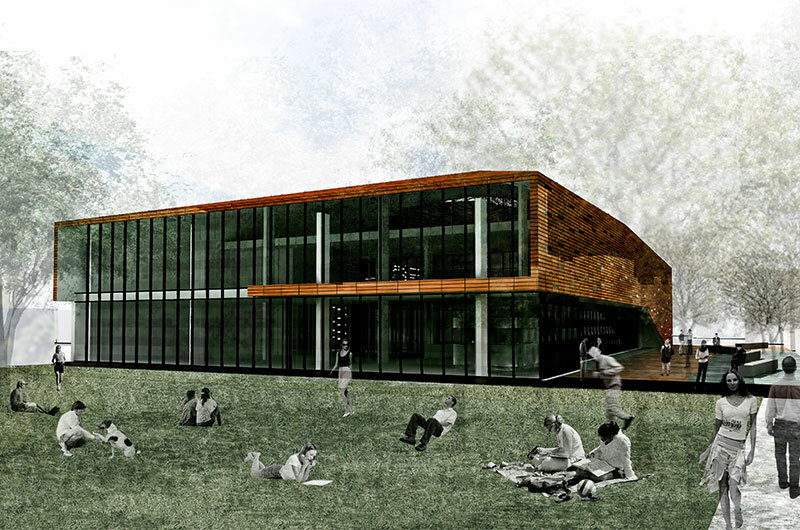 In the center of the building a glass cube, as tall as the building, function as the main room, an ideal location for cultural events and exhibits, as well as a reading room.